Center Astrophylite – Infuses the entire system with Celestial Light…Floods in so much light no darkness can remain. Tremolite – Accessing the Divine Mind. Pink Morganite – Brings through the Powerful Vibrations of Divine Love. Moonstone – Brings through Good Fortune and Passionate Love. Citrine – A Joyful Stone that promotes and manifest Success & Abundance. Kunzite – Creating a Ring of Good Fortune. Outer Corners Chalcedony – A nurturing stone promoting Brotherhood & Good Will…Joyful and Playful Energies. Tourmilated Quartz – Protective & Powerful for clearing negativity…Healing on a physical, mental, emotional & spiritual levels. 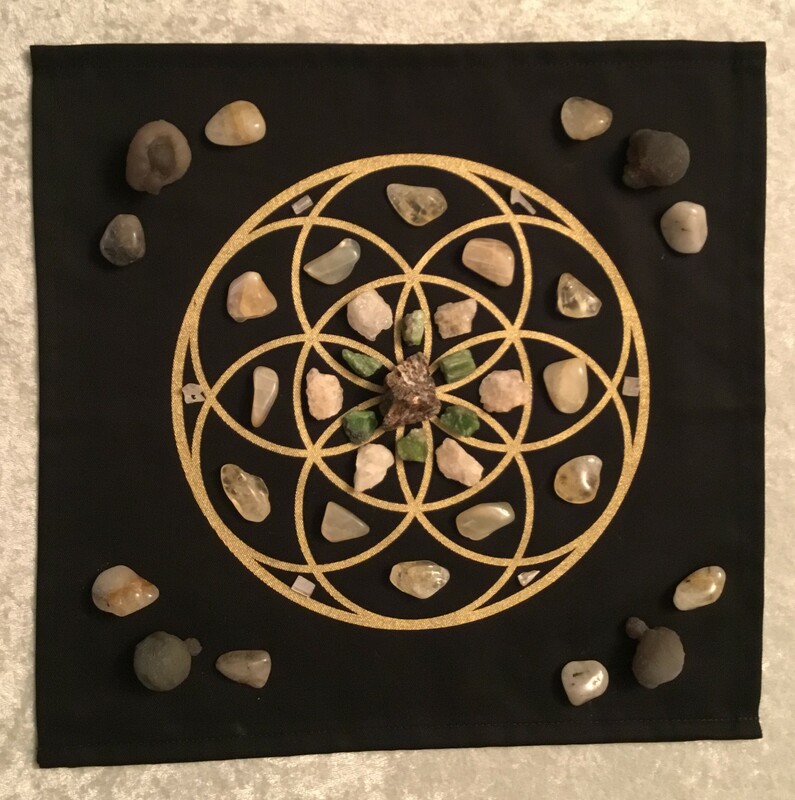 The Seed of this Grid takes these energies being created out into this world…continuing to grow and be nurtured. It will Always be Protected and Anchored with Joy.